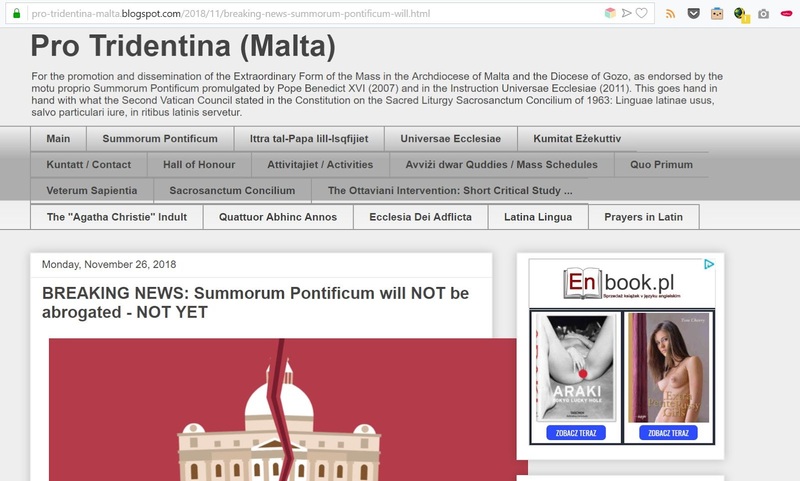 For the promotion and dissemination of the Extraordinary Form of the Mass in the Archdiocese of Malta and the Diocese of Gozo, as endorsed by the motu proprio Summorum Pontificum promulgated by Pope Benedict XVI (2007) and in the Instruction Universae Ecclesiae (2011). This goes hand in hand with what the Second Vatican Council stated in the Constitution on the Sacred Liturgy Sacrosanctum Concilium of 1963: Linguae latinae usus, salvo particulari iure, in ritibus latinis servetur. "I should like also that Rome should in fact give a good example of Liturgy celebrated devoutly and without ill-placed 'creativity'. Certain abuses in liturgical matters have succeeded, through reaction, in favouring attitudes that have led to a taking up of positions that in themselves cannot be upheld and are in contrast with the Gospel. In appealing with affection and with hope to the sense of responsibility of everyone, before God and the Church, I should like to be able to give an assurance that every liturgical irregularity will be diligently avoided." Extract from the homily of Pope John Paul I at the Patriarchal Archbasilica of St John Lateran - Saturday, 23 September 1978 on the occasion of taking possession of the Chair of the Bishop of Rome. This letter has been sent by e-mail to about 3100 Bishops (Diocesan and Auxiliary ). Your Excellency,For the good of the Church I respectfully request some of your valuable time in bringing the following matter to your attention and with a request to present this to the Holy Father. 1. Was it the conservative wing, who accepted to discuss the preparatory documents, which were called by Pope John XXIII in his Opening Address as the “initial gift of celestial grace”? At the time of the Opening Address, they had nothing to fear from this Council, and in what way would they have been motivated to predict “doom” scenarios for the Church and the world, by seeking to prevent the Council? Moreover, they had encouraged Pope John XXIII to call this Council. 2. Or was it the liberal wing, who disagreed with this “initial gift of celestial grace” and worked on its replacement? They had at the time of the opening address, to fear for a full condemnation of their liberal thoughts by the Council, as this was clearly present in the preparatory documents and even mentioned in the Opening Address itself. Herein Pope John XXIII condemned the ‘uncertain opinions of men’ and the ‘new-born errors’, as well as he acknowledged that there certainly were ‘fallacious teachings, opinions, and concepts to be guarded against’. 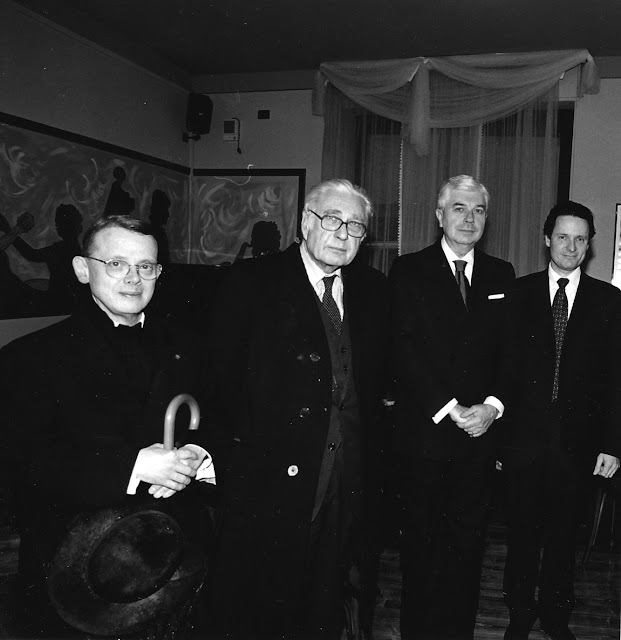 Pope St. John Paul II set up the Pontifical Commission in 1988 in response to Archbishop Lefebvre’s decision that year to consecrate four bishops without papal permission, a schismatic decision according to the Vatican which led to Archbishop Lefebvre’s excommunication along with those of the four bishops. Its role was originally to care for Archbishop Lefebvre’s followers who wished to remain united with the successor of Peter, the Fraternity of Saint Peter being the first immediate result. It also had the task of regularizing canonical situations of religious communities of a traditionalist nature, giving them a canonical form corresponding to their charism. The Commission had the responsibility of working with bishops to facilitate the Tridentine Mass (according to the 1962 Missal) for those faithful who request it. Pope Benedict XVI’s 2007 motu proprio Summorum Pontificum gives wider accessibility to the Tridentine Mass. Benedict XVI lifted the four SSPX bishops' excommunications in 2009. The 2009 motu proprio Ecclesiae unitatem, “organically linked” the commission with the CDF. Much has been written in the past weeks that the Pontifical Commission Ecclesia Dei (PCED), the Vatican body in charge of matters related to the Tridentine Mass and of negotiations with traditional Catholic groups (especially the SSPX), is set to be abolished shortly. Its functions would be completely amalgamated and absorbed by the Congregation for the Doctrine of the Faith. Notwithstanding its limitations, the PCED had proven extremely beneficial to the integrity of the Tridentine Mass, especially since 2007. Last November, this Blog had hinted that the motu proprio Summorum Pontificum was not going to be abrogated for the time being, but changes were going to occur in that direction. This looks likely to be one of the steps being taken. We also warned about the risks of an agreement between the SSPX and the Vatican. A personal prelature will be in due course subjected to Canon 297, under which the SPX would need the local Bishop's permission to add new apostolates. In the meantime the Congregation for Divine Worship is planning to introduce the Novus Ordo Propers of 1970 in the Roman Missal of 1962.
the total suppression of the Franciscans of the Immaculate, the Trappist Monks of Aachen, the Little Sisters of the Blessed Virgin Mary and the Transalpine Redemptorists. Screenshot sent by one of our readers with the ad appearing on the right. A reader of this Blog has alerted us to nasty ads appearing on our Blog Pro Tridentina (Malta). We would appreciate if anyone can tell us how to block and remove such ads which only serve to harm our work. Comments can be posted beneath this post or sent by e-mail. Count Neri Capponi, a prominent Florentine legal scholar and canonist, and one of the great traditional Catholic personalities, died on 13 December 2018 in Florence, Italy. Count Capponi taught for many decades at the University of Florence. He also served on the marriage tribunal of the Archdiocese of the same city and was recognized as a canon lawyer with the credentials to speak before the Roman Rota. Neri Capponi was also a Vice-President of the FIUV and was also Honorary President of the same Federation for many years. He also corresponded with the former President of Pro Tridentina (Malta). Capponi was known for having defended the right of Archbishop Marcel Lefebvre to continue his apostolate without being labelled schismatic. "When asked why I believe the crisis we now face is worse than Arianism, I give these reasons: (a) The principal vehicle of the faith, the liturgy, was untouched by the Arian crisis; (b) whereas the Arian crisis was precipitated and sustained by the intervention of secular power, the post Vatican II crisis comes from within the Church and is therefore more difficult to fight; (c) in the fourth century, Pope Liberius finally signed the excommunication of St. Athanasius under duress—in the twentieth century Pope Paul VI was admittedly taken in and hoodwinked by his misguided optimism, but there was no duress; (d) the present crisis is not only one of faith but of morals as well. In addition, today not only one dogma, albeit a very important one, is denied as with Arianism, but all dogmas, be it even the existence of a personal God!" Times of Crisis, Times for Faith, lecture delivered in 1995. Pro Tridentina (Malta) looks forward to co-operate in this laudable initiative. Depart on overnight flight to Europe, connecting to Malta. Please note: flights are additional cost. (Meals on flights). Confraternity for the Tridentine Mass in Malta? To add to our joy for the Christmas season, Pro Tridentina (Malta) is announcing that it is studying the possibility of forming a Confraternity of the laity and priests involved in the traditional Latin Mass. What will be the function and purpose of the Confraternity? It will enable and support priests who wish to offer the Tridentine Mass, it will provide a formal structure of financial, spiritual and organisational aid with the aim of establishing a network of places where the Mass will be offered. This will be in line with the wish of Pope Benedict XVI when he expressed a desire to see more priests crossing parish boundaries to share their vocation in a broader sense and to draw strength from working not in isolation but together. It will then provide "Mass kits" in each of the host parishes. Vestments, altar missals, altar cards and so on that are urgently needed. Anyone interested to be part of this project, please drop an email to pro.tridentina.malta@gmail.com if you can help in any way. If Benedict XVI dies (let's pray this will be in the distant future), there will be no problem for the current Pope to abrogate the motu proprio. This seems to be taken from 2 perspectives - Francis genuinely has respect for Benedict XVI, whilst at the same time the accusation that Francis isn't Pope because Benedict XVI was forced to abdicate, will die a natural death. This Blog will continue to follow developments in this area. In the meantime, it is hoped that traditional Catholic groups, in particular the FIUV, start piling up pressure on the Pontifical Commission Ecclesia Dei. Omelia di Monsignor Rifan durante il pelllegrinaggio "Populus Summorum Pontificum"
Omelia sull’altare contenente le spoglie mortali di Santa Caterina da Siena. Carissimi sacerdoti, seminaristi, religiosi, fratelli e sorelle in Nostro Signore Gesù Cristo,permettetemi per cominciare di dare un saluto e ringraziare i padri domenicani di questa basilica per la loro accoglienza. Questa Santa Messa pontificale solenne celebra la fine del pellegrinaggio “Summorum Pontificum” dei cattolici legati alla forma tradizionale del rito romano, concessa finalmente a tutti dal Santo Padre Benedetto XVI con il Motu Proprio “Summorum Pontificum”. Siamo nell’Anno della Fede proclamato da Benedetto XVI e proseguito da Papa Francesco. La nostra fede, com’è ben espresso nella lettera apostolica Porta Fidei, deve essere “professata, celebrata, vissuta e pregata”. La Santa Messa, la celebrazione del sacrificio eucaristico, è una delle più importati professioni di fede. E se noi amiamo, se preferiamo, se conserviamo la Santa Messa nella forma tradizionale del rito romano, è perché questa è una vera e propria professione di fede dei dogmi eucaristici: il dogma della Messa come sacrificio, rinnovo incruento del sacrificio della Croce; il dogma della presenza reale; quello della transustanziazione dovuto alle parole del sacerdote che agisce in persona Christi capitis e non alla fede del popolo; e quello del sacerdozio “ministeriale” dei presbiteri e dei vescovi, distinto da quello comune dei fedeli. La nostra fedeltà alla Santa Messa nella forma tradizionale del rito romano è dettata dalla nostra fede. E’ questa professione di fede, professata e celebrata attraverso la Messa tradizionale, che noi offriamo al Santo Padre come prova della nostra fedeltà alla Santa Chiesa. 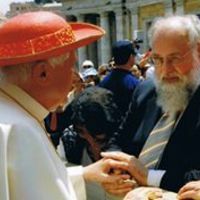 Inoltre, la Santa Messa tradizionale è un importantissimo contributo per la Nuova Evangelizzazione. Perché è una chiara espressione liturgica dei dogmi eucaristici; perché manifesta perfettamente la dignità del sacro attraverso la ricchezza, la nobiltà e la solennità delle sue cerimonie; per il senso del mistero che comunica; ed infine, perché è uno dei tesori liturgici cattolici attraverso il quale affermiamo il nostro amore per la Santa Chiesa e la nostra comunione con essa. 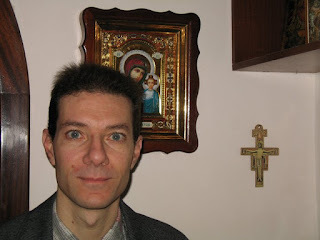 Che il Santo Padre riconosca, nella nostra forma liturgica, l’espressione della nostra piena comunione con lui e con la Chiesa. E’ per combattere questi mali che il papa istituì una festa speciale di Gesù Cristo Re. Ma, coraggio! La vittoria del Bene è certa, la vittoria di Cristo e della Chiesa. A Piazza San Pietro c’è un obelisco egizio che anticamente era collocato sulla spina del circo di Nerone ed era simbolo della vittoria sui cristiani perseguitati e morti in quel luogo, a cominciare da San Pietro. Oggi il circo di Nerone non esiste più. Al suo posto si eleva la magnifica basilica di San Pietro, e, se l’obelisco si trova ancora lì, esso reca ormai l’iscrizione “Christus vincit, Christus regnat, Christus imperat!”. Cristo vince, Cristo regna, Cristo impera. La vittoria finale! E questo è vero anche per la Chiesa. Celebriamo questa Messa nella bellissima basilica di Santa Maria sopra la Minerva, che vuol dire che qui, sotto di noi, si trova il tempio della dea Minerva. Oggi questa basilica è dedicata alla Madonna. E’ la vittoria della Santa Vergine Maria su Minerva, di Cristo e della Chiesa sul paganesimo. Fiduciosi nella protezione della nostra Santissima Madre, continuiamo a combattere. La vittoria è certa. 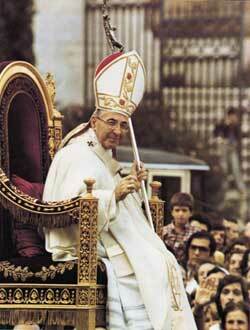 Christus vincit, Christus regnat, Christus imperat! Così sia!" Monsignor Fernando Arêas Rifan, ordinario dell’Amministrazione apostolica personale di San Giovanni Maria Vianney di Campos (Brasile), 27 ottobre 2013, Festa del Cristo Re. Born in 1969, Xuereb obtained a Diploma in Italian Language and Culture (University of Perugia) and graduated B.A. (Hons.) in European Studies and M.A. International Relations from the University of Malta. For the latter degree, he undertook research in the Vatican Secret Archives in 2011. He was involved in several Catholic organisations, in particular one can mention his serving as an altar boy in St. Peter's Basilica (Vatican) in 1981. He is a member of 3 Confraternities: Our Lady of Mt. Carmel, Saint Michael and Saint Peter. Xuereb was one of the main promoters of the Tridentine Mass started since 2002. Thanks to contacts with the Fraternity of Saint Peter (FSSP), a number of Maltese got to know each other and in 2007 founded Pro Tridentina (Malta). Xuereb was its first President until 2012. He later served as its interim President (2012-2013) and Co-ordinator (2014-2015). Xuereb was elected to the FIUV Council in 2009, the same year when Pro Tridentina (Malta) became a member. He was re-elected in 2011 and 2013. In 2015, he informed the Council that he was not going to submit his candidature on behalf of Pro Tridentina (Malta). During his Council period, Xuereb was the moderator of the Communications sub-committee for some time and also Assistant Treasurer. Due to health reasons, Xuereb stopped being active in the traditional Catholic movement in 2015, although he still promotes the Tridentine Mass informally. 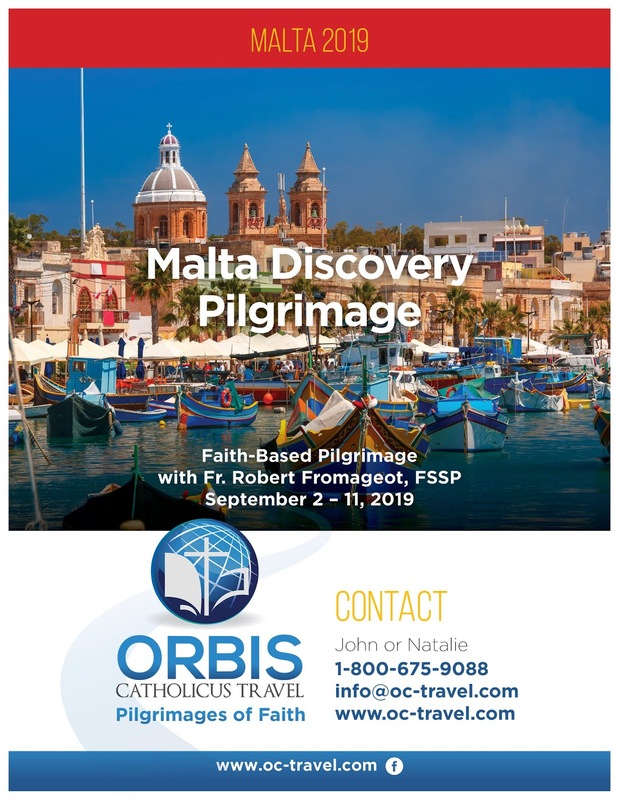 In Malta and Gozo, which are two separate dioceses, there are a total of 78 parishes (63 in Malta and 15 in Gozo) and 6 national parishes. There is only one Tridentine Mass, once a week on Sunday evening, in the whole of this country, i.e. a mere 0.013% (Tridentine Mass / parish)! On the other hand, in France, where the Catholic Church in France is organised into 98 dioceses and 4300 parishes, there are 488 parishes that have regular Tridentine Masses, i.e. more than 10% of the total! Breaking News: liturgical changes ‘irreversible’ but postponed! Last year, this Blog broke the news that massive liturgical changes were expected later this year. Soon afterwards, unexpectedly, controversy with traditional groups followed (read here, here and here), notwithstanding the fact that Pope Francis himself had invoked ‘magisterial authority’ to declare liturgy changes ‘irreversible’. 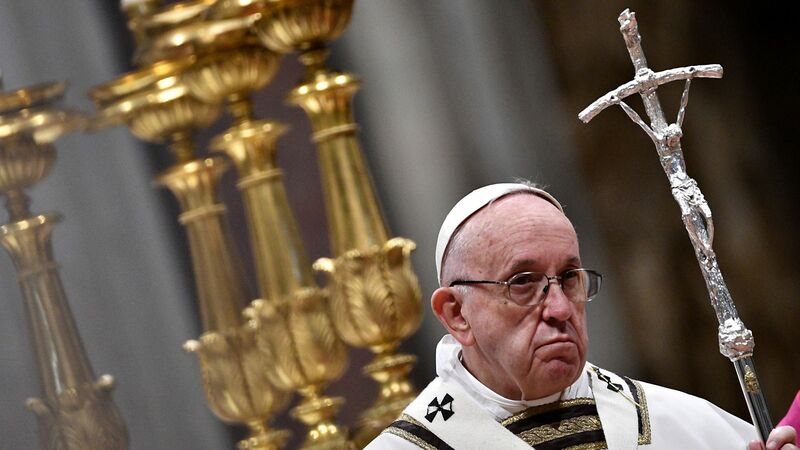 However, following Archbishop Carlo Maria Viganò's revelations in the past weeks, sources in the Holy See indicated that pressure was mounted on Pope Francis to delay the liturgical changes to sometime in 2019, or even later, in order to avoid more controversy within the Vatican. There is a real fear that if liturgical changes are introduced in the coming weeks, they could lead to a schism that would hit the heart of the Church. The names of two Cardinals, both deemed to be close to Pope Francis, were mentioned. Allegedly, Pope Francis has agreed to this postponement. Since this Blog has been unable to contact any of the Cardinals, we prudently are avoiding to mention them. Still, this Blog will continue to update its readers whenever news on this matter close to our hearts is made available to us. Founded in August 2007 but efforts to group Maltese in favour of the Extraordinary Form of the Roman Rite started in 2002. 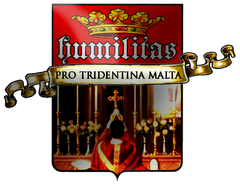 Pro Tridentina (Malta) became a member of the FIUV in 2009 and one of its members has served as a FIUV Councillor between November 2009 - January 2012 and December 2012 - October 2015. In 2013 the same Councillor was Assistant Treasurer of the FIUV. 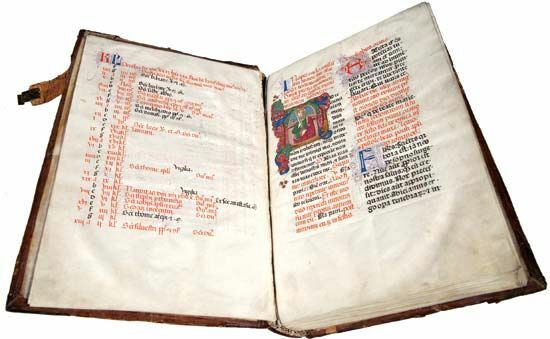 The FIUV is a lay movement, and its principal aims are to ensure that the Missale Romanum (1962 edition) is maintained in the Church as one of the forms of liturgical celebration, and to safeguard and promote the use of Latin, Gregorian chant and sacred polyphony. A General Assembly is convened every two years in Rome and elections are held for the Council and Presidency. The current President is Mr Felipe Alanis from Una Voce Mexico. The Federation is recognized by the Holy See, its views are received with courtesy and respect by the relevant Roman Congregations, and its representatives are received by them in the same manner. Patri Donat Spiteri OFM Cap.